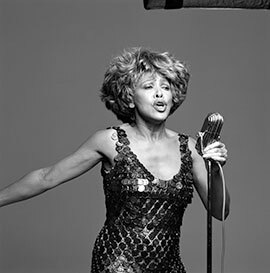 "Proud Mary" is an US promotion single from Tina Turner's album "What’s Love Got To Do With It?". The original song is a rocksong from Creedence Clearwater Revival and was written by John Fogerty. "Proud Mary" was officially recorded in 1970 with her former husband Ike. Tina was crazy about this song and when Ike switched to another recording studio they got the opportunity to record "Proud Mary", but in that time the separation between black and white wasn’t completely over. Ike & Tina had to make a white rockpop song into a black soul, funky rock song. However it worked when Ike and Soko Richardson produced the song. Beginning nice and easy, and the finish nice and…. ROUGH. Ike & Tina succeeded in 1971, and the song was an instant hit all over the world. They won a Grammy and won Golden Records with it. For Tina the song "Proud Mary" was all about freedom. She finally slipped away from Ike. Step by step. 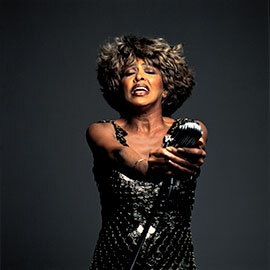 She was taking control over the stage, and improvised for the first time during the live performances of "Proud Mary". Tina’s "Proud Mary" version has never left the show after 1970. Although Tina felt free with the song, the song is about multiple subjects and it starts with a washerwoman called Mary, who does hard labour to please her man. It seems she hitches a ride on a boat, and find happiness in her new destination. Well if we compare the song to Tina’s life, we think there’s a connection in a certain way. As we’ve said before, "Proud Mary" has never left Tina’s side. She performed it millions of times over the years. On tv shows and on almost all of her concerts between 1970-2009. It was the moment in her show where everybody was waiting for. And Tina’s reaction was "I’ll give it to ya". Pure energy would fly of Tina with her classic dance routines and all time favourite fun intro. In 1993, Tina re-recorded "Proud Mary" for the Biopic movie "What’s love got to do with it?" And her soundtrack album which has the same title. In the movie we see Ike & Tina opening for The Rolling Stones which Ike & Tina opened for, until the moment Ike & Tina became the headliners themselves. Tina didn’t official release this version of "Proud Mary", but it was used to promote the new version on radio’s and for dj’s. As for now we know that there are 7" singles of this song and cd singles, but those are very limited. Tina didn’t shoot a video for it, they’ve used an edited version which was shot in San Bernadino in 1993. The B-side is "Proud Mary" (Album Version). "Proud Mary" (Album Version) - 5.27 min.